Mac|Life is the leading independent magazine devoted to all things Apple. For over five years, Mac|Life has helped both new and veteran users get more out of their iPhones, iPads, Macs, and more, with coverage that cuts through today's glut of apps and accessories to find what matters most. 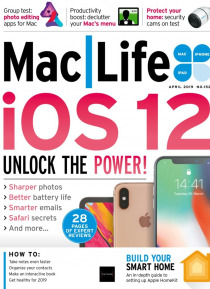 With a bright, clean design and casual tone, Mac|Life offers an easy and enjoyable way to keep up with th… e latest Apple trends and topics.